Better safe than sorry. I initially covered this chicks’ headlights to avoid complaints but in the end I removed the censorship. That’s what you get living in the U.S. Back home Senad Nuhanovic wasn’t a bit restrained plastering the milkers on the record cover. More power to him. And let me tell you – what’s hiding underneath the black block is fine enough to get the Pope all roused up. There’s no doubt that teenagers were buying this LP just to yank off. Who knows, maybe they’d throw the vinyl out and just keep the cover. A record is like a bone to the cover. Without it you can roll the cover up and stash it where the parents can’t find it. Then you can unroll it when the time is right and do a little nocturnal workout. Maybe that’s why the title is “Good Night.” Hey, I’d want to try that in place of the freakin’ sleeping pills I’ve been popping for fifteen years. 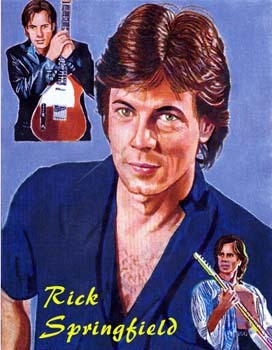 It’s plain to see that this Bosnian Rick Springfield is a finely dressed man. Kind of like a Vegas casino dealer. Three piece suit and all. What’s there not to like about a polyester vest that looks like a wallpaper. And I love the gestures. Pointing to the chick with one finger and dipping the left thumb in the dainty vest pocket. At the time of the shoot poor Senad had no idea that once complete the cover would feature a hot girl at the business end of his index finger. As for the girl, she was probably cut and pasted from a German gentleman’s mag. Although the hay makes you think she is just a wholesome Serbian peasant her armpits are hairless. Everyone and his uncle knows that Balkan beauties used to keep their hair intact so this is positively a foreign photo appropriated without any regard for copyright. A word about the band. Orkan means “tempest.” They sound like bad weather too. I’d rather stand in the rain than listen to their crooked notes. But you get used to them after several listenings. Their horns sound like a cat in pain. The drummer is on vacation but the drum machine beats the same unrelenting rhythm song after song. The accordion player is fast and good though. Like those trained typists whose fingers deliver a barrage of letters this guy is senseless.. Amazing finger velocity. Before you can absorb all the musical notes he’s jamming into your ear he’s already moved on. His fingers are already pumping another crazy song. My mother’s first cousin’s last name is Nuhanovic too. I need to ask him which branch of the family tree this guy has descended from or if he is still up in the tree sitting on a limb. This entry was posted in Records and tagged Bad record covers, bosnia, folk, orkan, senad nuhanovic. Bookmark the permalink.